Can We Stop With the Pooping Baby Dolls? Please! This exchange between my three-year-old daughter and I goes on more times than I care to mention. She is obsessed with dolls that poop…everything. Did you hear me? I said obsessed!!! It all started one day when she was watching a video on my phone. Yes, my daughter occasionally watches videos on my phone. Don’t judge. Well, during an episodes, a box for one these “great” dolls pooped up…I mean popped up. From that point on, it was all over. She started to ask me to put the “poopy video” on. Curious about her fascination, I had to watch. Basically, it’s some narrarator chick (who was probably never a mom) talking about how she’s feeding a baby. Then minutes later she gets excited about how “charming” her doll’s poop is. Sometimes it’s just a soiled diaper, other times she strikes gold. The narrator gets obnoxiously excited. Either way, I’m grossed out. My daughter is thoroughly amused. Besides the videos, I don’t know where all this came from. Her older sister was never one for the poopy dolls. But, number two is. No pun intended. The funny thing is, she doesn’t even have one of these dolls. Why? You may ask. Because I just won’t buy one. I know dolls are for play and joy…blah blah blah…but I have a problem with a doll that poops charms, surprises, or anything else. Until diamonds and pearls start coming from my kids’ butts, you won’t see one of these dolls in my house. I won’t even buy the ones that actually give wet or “dirty” diapers. They’re just gross. What I would like to see in one of these videos is for the doll to have an all-out blowout. Moms, you know what I’m talking about. One of those blowouts that goes up your baby’s back all the way to her neck. One of those blowouts that goes through every layer of clothing possible, but still manages to get on the car seat. If baby doll had one of these, I want to see how excited our narrator chick would truly be. I do know who would be happy. This girl right here. This would prove that these babies are real. No charms. No jewels. No stuffed animals. No cutesy poop. Just the real stuff. I know the probability of this happening is slim to none. So, in the meantime, can we stop with the pooping baby dolls? Please! Mommy, How Do Babies Get in the Belly? It’s the question many parents dread no matter what age their child may be. No matter how you answer, nothing good is going to come from it. a) Depending on your answer, your child may not believe you. c) Depending on your answer your child may not believe you and will have more questions. My guess is that the answer is C.
Well, a variation of that question keeps popping up in my house more frequently than a darn whac-a-mole. “Mommy, how do babies get in the belly?” asks my almost four-year-old. Answer: “No.” I decided to go with a cut and dry answer this time around. But, now my six-year-old decides to listen in and give her two cents. Good grief, I’m being tag-teamed. They seem to have bought what I just sold. Sigh. I can breathe a little easier. That is, until that question rears its ugly head again in a couple of days. I know many people out there may think I’m doing my kids a disservice by not being honest with them about how babies really get in the belly. What’s wrong with protecting their innocence a little longer, especially at ages 3 and 6 (especially age 3)? I know they need to know. I know I run the risk of someone else bursting my bubble. But, I guess that’s the chance I take. I know there will come a day (sooner than I would like) that I will have to honestly explain how all the parts fit together and how things really work. But, just not at age 3. I know there will be even more questions that I will have to answer. I will answer them all…honestly. So, have you had “the talk” with your kids? How do you answer “the question”? In case you didn’t know, this coming Sunday is Grandparent’s Day. (You’re welcome…now you still have time to buy a plant or something) Sure, some may say it’s a “Hallmark Holiday” and perhaps they’re right. But, that still doesn’t mean grandparents shouldn’t be recognized. They are important people in our lives and the lives of our children. While it’s important to give props to both grandfathers and grandmothers, I’m going to zero in on the grandmothers. No disrespect or anything, grandfathers are great. But, grandmothers have been weighing heavily on my mind lately. That’s because I lost mine a few weeks ago. She was 94 years old. She was sick for awhile, so her passing didn’t come as a huge shock. Nevertheless, it doesn’t making it any easier to deal with no matter how many times someone tells you, “She lived a good life.” That doesn’t make it all better. Trust me. There is still an empty space in your heart. That’s mainly because grandmothers are so very important. Grandmothers always seem to have the patience that mothers don’t. As a mother now I can tell you that is the absolute truth! I don’t know where they get it from, but they are able to stay calm even during the worst temper tantrums that would have any mother running for the door. Grandmothers let you get away with just about anything! I remember my grandmother letting me eat things I “shouldn’t”. I remember her buying me the silliest toys that my mother would never spend one cent on. That’s just what grandmothers do. Grandmothers are the ultimate “fixers”. When my favorite Ken doll somehow became split in two my grandmother want into MacGyver mode and managed to wire his torso to his legs. With a little electrical tape as a corset, he was good as new. So good, in fact, that he lasted more than 30 years. My girls still play with this “broken” Ken. Grandmothers have a way of making it all better. I don’t know how they do it, but they do. They always seem to have the right words at the right time no matter the situation. Grandmothers make the same dish ten times better than your mother. No matter how you try to duplicate a recipe, it never comes out as good as your mother’s. It must be all that special “grandma” love they put into their food. Or perhaps the fact that they’re not yelling at the kids or packing tomorrow’s lunch while cooking dinner and unloading the dishwasher…all at the same time. Grandmothers will play with you all the time. My grandmother would play endless games of “Monopoly” and “Life” with me. Although she complained about it years later, at the time, she would just go with it. She pretended to thoroughly enjoy each game. I see my girls do the same thing to my mother. They play restaurant and school for hours on end. My mother is always the happy customer or student no matter how many rounds they go. Grandmothers always seem to have time for you. Don’t get me wrong, moms always have time for their kids too. But, grandmothers have that time that seems to never end. Grandmothers just rock. Simply put. Mine sure did. So, don’t let this “Hallmark Holiday” go by without giving those grandparents in our lives some extra recognition. They sure do deserve it. As we all know, they won’t be here forever. If you’re the kind of person who simply walks into a shop and blindly picks up the first card they come to, maybe it’s time you started putting a little more thought into the selection process. After all, in today’s highly digitalized world – with its Facebook, Twitter and Instagram – receiving a card through the letterbox is the nearest thing to a hand-written letter most of us will get. We know it’s much simpler to type a quick message via social networking sites, but that’s the very reason that opening a card – taking in its front cover, the well-chosen verse and the words carefully scrawled inside – is almost a little bit special. How Often Do You See the Recipient? – If you’re sending a card to someone you see weekly, or even daily, you might not spend too long poring over cards in the shop. True, it’s still important to consider what your friend or close family member might like, but if you catch up with them on a regular basis the sentiment can almost be lost. In this case, a silly or jokey card might work best; pay attention to the things they tell you, the stories they relay. And then try and pick out a card based around them. It’s all about raising a smile, even if you do see this particular friend so often that you’re worried you’ll struggle to find time to buy them a card without them lurking around the corner peeping over your shoulder. Choose something light and witty and that’s guaranteed a laugh. If you’re sending a card to a relative or friend you don’t see so often, think about getting a blank one you can write a little note in. It’ll go a long way to letting the recipient know they’re never far from your mind and it acts as a traditional pen-letter too, saving you money on an additional letter/notecard in the long run – it’s win-win! What’s the Occasion? – Now, this may seem like a simple one, but if you’re choosing a card for someone you don’t see too often, it’s really worth double checking the facts before you ping off a card. This is particularly important if you’re sending a card to a niece or nephew and you’re perhaps not so sure of their age. Find out in advance before you upset the birthday boy or girl by sending a card that says ‘Hooray, you’re nine!’, when in actual fact your recipient is 10. It may only be a year’s difference, but when you’re young it matters greatly if, for example, you’re desperate to finally make it to double digits age-wise. How Long Have You Got? – When it comes to choosing the right card, it’s not just about the card itself. Ask yourself in advance how long you have to ensure the card reaches your recipient on time. Have you factored in the time it takes to make its way to their home via post? If, for example, you’ve bought a sympathy card in time for the day of the funeral of a loved one’s relative, make sure you send it so it at least arrives before or on the day itself. 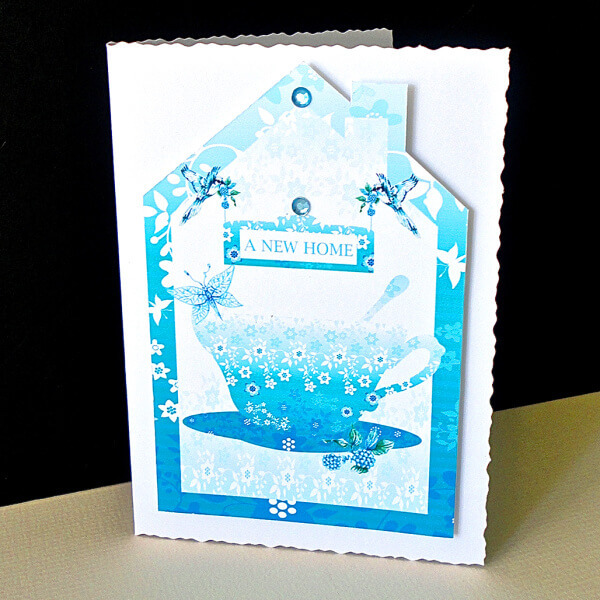 A new home card, on the other hand, can be sent weeks after someone moves into their new place – the sentiment is still there and it’ll still be a fairly new abode even a few months later. Don’t forget to also bear in mind the recipient’s interests, too. Are they someone who’d appreciate a lovingly-crafted handmade card, for instance, or a card based on a particular theme? Ask yourself these questions (above) and you’ll always get it just right when it comes to selecting a card. As a mother of two, I can tell you first-hand how important it is to have the right clothes for your newborn. It’s kind of like the story of “Goldilocks and The Three Bears”…the porridge can’t be too hot or too cold…it needs to be just right. In this case, the clothes for newborns can’t be too tight or too rough…they need to be just right for baby. The world just got a little sweeter for parents searching for the right clothes for baby. Gymboree’s newborn essentials would be just what Goldilocks would be looking for if she was searching for clothes instead of porridge. The clothes are just right. When it comes to baby clothes, you want and need something that is soft. Gymboree offers 100% combed cotton. This adds a soft feel to your baby’s already soft skin. The clothes are not just soft; they are also breathable and comfy. This is perfect for playtime, naptime, or those rock-rocks in the baby swing. We all know babies grow faster than you can say tummy time. That’s why it seems like we’re buying more clothes for them than we ever have for ourselves. To ease that burden and give our wallets a break, Gymboree’s pants have cuffs that can be unrolled to grow with your baby. It really is just a simple idea that makes mommy’s life a little easier…and less expensive. Another bonus that’s a real bargain is the reversible tops and pants. This not only gives mom more options, but also lessens the laundry load. Once you get all of these great clothes home, it’s time to dress baby. Some days that’s easier said than done. Gymboree’s newborn essentials have easy peasy snap buttons and stretch envelope shoulders so dressing your baby doesn’t feel like you’re stuffing a sausage. It not only eases the stress of getting ready but also cuts down on the time. We all know how long it takes to get baby ready and out the door. Anything that can help in this department is welcomed! It’s not only great to buy Gymboree clothes for your own baby, but they also make a great gift. I really love to give Gymboree sets because you can always find some cute accessories for every outfit. Although baby may not be fully able to appreciate it, moms love every extra ounce of cuteness they can pile on their little ones. So there’s no need to go store to store to find the right fit and style. Don’t be a Goldilocks. Get it right the first time with Gymboree’s newborn essentials. It really will make life with your baby a little sweeter. 3…2…1…Happy New School Year! Okay, so there’s no ball drop and no noise blowers or confetti. But, the beginning of a new school year really should be a holiday too. 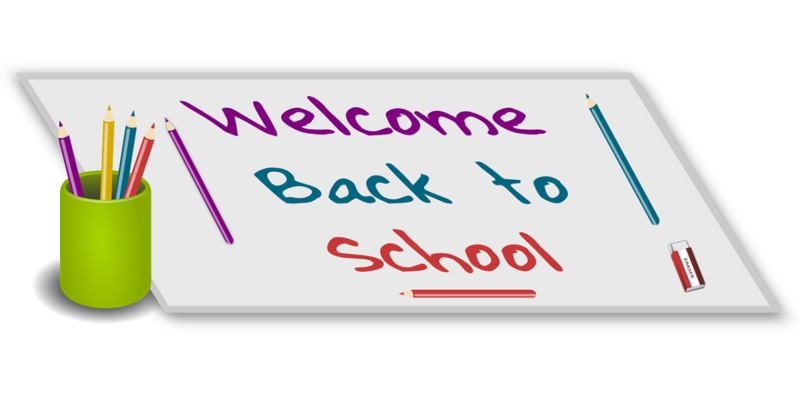 I don’t know about you, but I feel like the new school year is like the real new year…just a few months earlier…and a lot warmer. 1. New School Supplies: Okay, I’m a self-proclaimed geek so I love new school supplies. There’s just something about freshly sharpened pencils and clean notebooks. A fresh box of crayons with all 24 colors still intact…you just can’t go wrong. If that’s not enough to get you going, how about those new book bags and lunch boxes? I think I get more excited than the kids! 2. Bedtime is Back Baby: “It’s a school night.” The words are magic to any momma’s ears. They mean the kids are going to bed whether it’s still a tinge light out or not. They mean mommy can catch up on her 17 episodes of “Young & the Restless” that are waiting for her in the DVR. They mean getting on a schedule. Amen! Let me tell you, there’s nothing wrong with a little routine. 3. No Christmas Toys to Hide or Put Away: Usually around the real New Year, we’re still cleaning up from the holidays. It is tiring and annoying. There is so much junk…I mean valuable gifts, lying around the house. This means opening things, buying lots of AA batteries and sometimes hiding toys. Did I say that? We never hide toys. We also never secretly return toys. The great thing about the new school year is that you’re not dealing with more crap in your house. Simply put. 4. New Friends: If you weren’t a fan of your child’s BFF last year, there’s hope this year! Maybe he’ll find a friend who doesn’t think boogers are a new food group. Let’s be honest, there are some kids your child may love, but ones you could do without. A new school year brings hope of new friendships…minus the boogers. Fingers crossed. 5. Drop Off Chitter Chatter: While we all promise to hang out over the summer, sometimes getting together with school friends gets buried in the sand. Sometimes you don’t get together as much as you would have liked. Sometimes you miss hanging out. Sometimes it’s nice to drop off the kids and have a real conversation with someone else who isn’t worried whether Caillou will ever grow hair. It’s refreshing to talk to other moms and dads. There’s nothing wrong with momma getting some social interaction too. Plus, you may be able to figure out who has the booger-eating kid at lunch.